After the official announcement in the parliament, on 1 July 2017, the new-indirect tax regime has been implemented in the country. If we talk more about this in-direct tax regime, it would not be wrong to say that Goods and Service Tax has become the reality now. 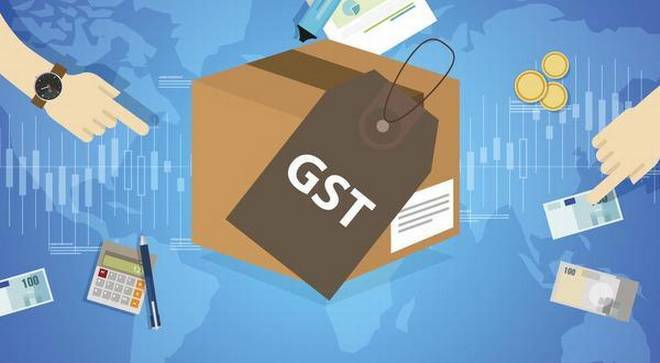 And, since it’s launch, this tax structure with its different GST slabs in India has been successfully implemented on various daily goods and services.Talking about the different structure, the Government has decided the four slabs of 5%,12%,18% and 28% respectively which are currently levy on various Goods and Services. However, one thing that needs to be mentioned here is the fact that the impact of this in-direct tax regime is not only limited to the daily goods and services but it’s on the economy as a whole as well. Yes, there are different sectors and industries on which GST has its own impact. And, today, in this article, we are going to talk about one such sector, i.e. Finance. Talking about finance, how can we not talk about loans. And, when it comes to loans, it is obvious to talk about a personal loan, being the largest market So, without wasting any time further, let’s just come to the point straight and discuss each of them in the article below. In case of a personal loan, the processing fee and the prepayment charges are the ones wherein the service tax used to levied. But soon after the GST, the service tax is now replaced with a standard rate. So, suppose, on a loan amount of Rs.9 Lakh, the processing fee used to be 1%-2% of the loan amount+15% service tax, making the processing fee ranges from ₹10,350-20,700. Post GST, the things have changed as the service tax now a standard GST rate of 18%, thus making a processing fee jump to ₹10,620-21,240. Similarly, in case of a prepayment charges, the changes also occur. Talking about the pre-GST scenario, the prepayment charges range between 2%-5% of the principal outstanding+15% service tax. So, suppose on a loan amount of Rs.2 Lakh, the combined prepayment charges come out to be ₹4,600-11,500. Post-GST, the charges are now replaced with 2%-5% principal outstanding +18% GST, thus making a total of ₹4,720-11,800. So, if you look at both the charges, prepayment and processing, you can clearly see that there is a marginal difference in both of them. The new GST slabs in India have made the personal loan a bit costlier but these are the manageable differences that can easily be managed as they won’t take a toll on your pocket. Talking about the personal loan segment, it would not be wrong to say that it is one of the largest financial segments, catering the needs of many. This is the reason that why people are always curious and concerned to know about the same. Hope you too get the answers to your questions above!